Sarah Bayliss has written a fascinating technical examination of a Portrait of Thomas Sutton. 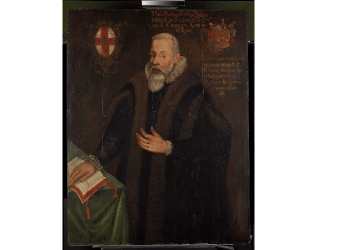 This oil on panel portrait belongs to the City of Lincoln and depicts the founder of the Charterhouse, London, Thomas Sutton (1532–1611). The painting has been at the Charterhouse since the 1970s and was recently sent to the Hamilton Kerr Institute for technical analysis and study, in the hope of clarifying long-standing questions about its origin. You can read Sarah’s article here. The first ever Charterhouse newsletter can now be read via our website. You can find it here here. If you would like to subscribe to our mailing list, visit our Newsletter page in the About section of the website, or click here. Last month, Queen Elizabeth, accompanied by The Duke of Edinburgh, officially opened our new museum, learning centre and public square. The Queen and the Duke of Edinburgh met many people associated with our new development, including staff, architects, builders and gardeners. 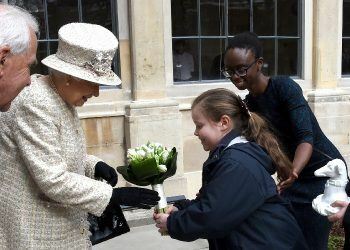 A crowd of well-wishers, waving flags and taking photographs from the renovated square, welcomed her at the gates where she was greeted by the Master of the Charterhouse. While the Duke of Edinburgh greeted to the Brothers, the Queen spoke to local schoolchildren who were designing their own coats of arms in our learning centre. She was given a tour of the museum, then shown the renovated Sir Henry Havelock Memorial, which commemorates the British general Sir Henry Havelock and other alumni of Charterhouse School who died in the Crimean War, the Indian Mutiny and other campaigns. The visit culminated with the couple’s visit to the Chapel, where Bro. Graham Matthews, our resident organist, performed a rousing rendition of God Save the Queen. 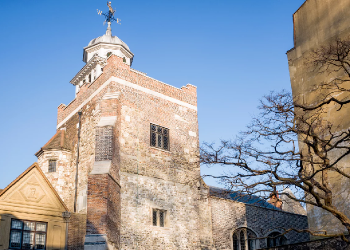 The Revealing the Charterhouse project, which will see the opening of our brand new museum, cafe and learning space, is the subject of a new feature in The Guardian. 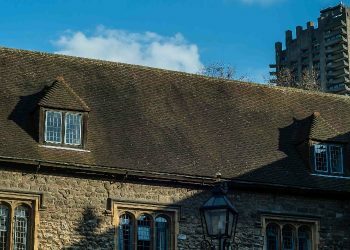 Written by Maev Kennedy, the feature delves into the history of the Charterhouse and also focuses on some of the items included in our new exhibition. You can read it here. 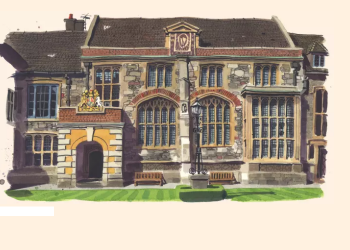 Revealing the Charterhouse features in this week’s Financial Times. The article, which was written by Harriet Fitch Little, can be read here on FT.com. 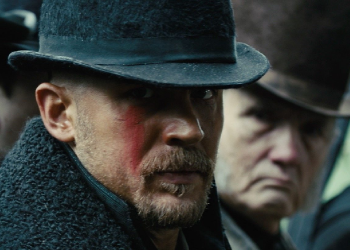 The Charterhouse is one of the locations featured in Taboo, a new BBC series about an adventurer (played by Tom Hardy) who returns to Britain from Africa along with fourteen stolen diamonds to seek vengeance after the death of his father. The first episode, which aired on 7 January 2017, can be watched on BBC iPlayer, with episode two airing on BBC One on Saturday 14th.